Gottlieb Daimler (1834-1900). 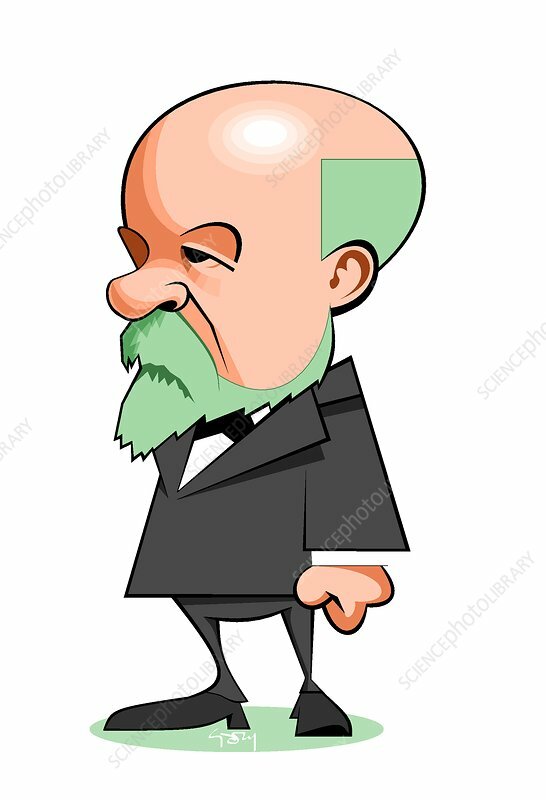 Caricature of the German engineer, industrial designer and industrialist Gottlieb Wilhelm Daimler. Daimler is best known as a pioneer of internal-combustion engines and automobile development, and the co-inventor of the high-speed petrol engine. He and his lifelong business partner Wilhelm Maybach were two inventors whose goal was to create small, high-speed engines to be mounted in any kind of locomotion device. In 1885 they designed a precursor of the modern petrol (gasoline) engine, which they subsequently fitted to a two-wheeler, the first internal combustion motorcycle and, in the next year, to a stagecoach, and a boat. In 1890, they founded Daimler Motoren Gesellschaft (DMG, Daimler Motors Corporation). They sold their first automobile in 1892.